While I wasn't allowed into any of the big vendors stands at MWC, it was good to see that all of them had put their MWC videos, demos, etc. online. See here. Good to see that Evan Kirstel managed to get us a nice picture of the Radio Dot. Ericsson also has a page dedicated to Radio Dot here. The Facebook live video of the product below. Ericsson has said that it will have a 5G compatible version of its Radio Dot System by 2019. 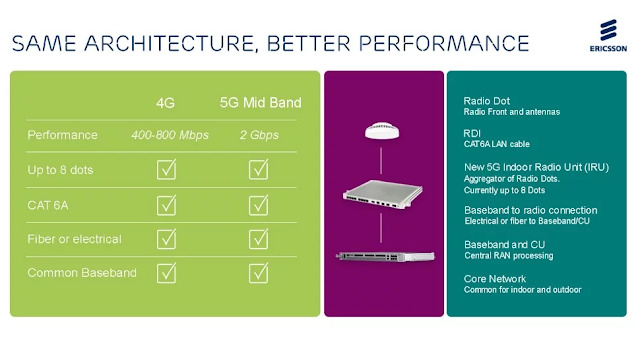 The company today “introduced” the 5G Radio Dot – a new line of its DAS-lite small cells. The new access points will be able to offer 2Gbps speeds, and will add band support across the 3-6GHz range that are targeted as a pioneer 5G band. TMN : When is the expected actual release date (GA) for the 5G Dot? Ljungberg: In line with general introduction of the 5G technology in the market in 2019. This sort of gap between launch announcement and actual availability mirrors the original launch of the Radio Dot, which saw a 14 month gap between introduction and availability. We will see it being rolled out next year. 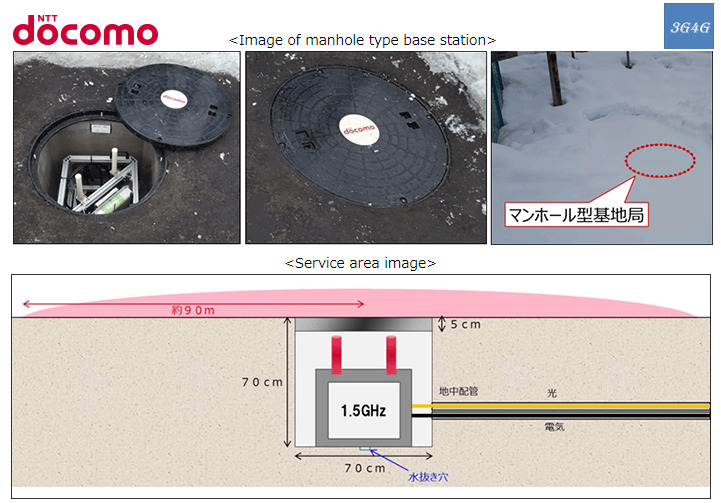 NTT Docomo has announced that they have developed a prototype of manhole type base station for the first time in Japan. They will be used in locations where there is no other infrastructure available in vicinity to host base stations. The antenna is installed at a depth of 10 cm under the ground, with a fiber connection to the radio equipment and the power supply are drawn from the ground by the underground buried piping. The service area is about 90 m radius. Based on this, I am not sure if this is a complete small cell or just a remote radio head. I am inclined to think that this is a complete base station as its a standard LTE base station as per the specifications. The output power is not specified but base stations can easily fit within 15 kgs. I have written about underground small cell here and here, which was about Swisscom, Ericsson & Kathrein trying it in Switzerland. I have also written about how the Japanese operator KDDI is trying to cover similar locations using lamp posts here. Its good to see Docomo trying something new. As per the announcement, DoCoMo will work to improve the communication environment to areas where it was difficult to establish a base station, aiming for full-scale operation within the year 2018, and will continue to consider the application of future technologies to 5G in parallel. From what I have heard, some antenna manufacturers are working on trying to convert the manhole cover in to an antenna. Its going to be a big challenge though. 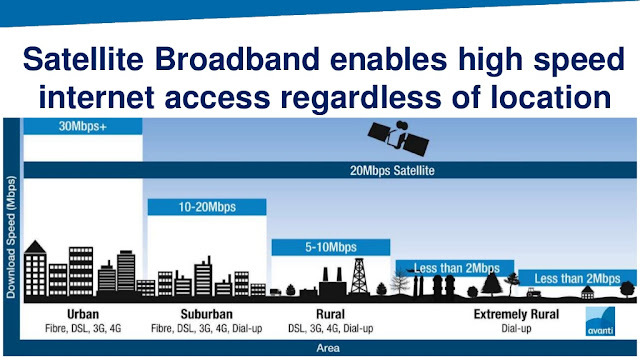 Satellite Broadband for connecting Africa? Came across this presentation by Avanti as part of iDate Digiworld Institute breakfast briefing. It again highlights the importance of satellite broadband as it can provide high speed connectivity regardless of the location. If interested, download the slides from techUK page here.